Please note that the content of this book primarily consists of articles available from Wikipedia or other free sources online. Devaris "Dee" Strange-Gordon (born April 22, 1988 in Windermere, Florida) is an American professional baseball shortstop for the Los Angeles Dodgers of Major League Baseball. 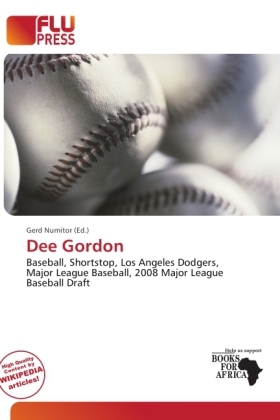 Despite being the son of Major League pitcher Tom Gordon, the younger Gordon did not take up baseball until his high school years, having previously dedicated himself to basketball. Gordon played at Avon Park High School (like his father), Seminole Community College and Southeastern University, all in central Florida.